Vondelpark is a famous public urban park located in the southern part of central Amsterdam, Netherlands. The park was opened in 1865 and was originally called the Nieuwe Park, which means "The New Park". After a statue of a famous Dutch writer named Joost Van den Vondel was constructed in 1867 within the park, visitors began calling the park "Vondelpark". The name stuck and a few years later, the name of the park was officially changed into Vondelpark. This 47-hectares park is visited by almost 12 million people around the world every year. It has wonderful nature and countless outdoor activities for everyone to explore. Visitors can visit facilities such as the Open Air Theatre, several different Restaurants or Cafes throughout the park, a lot of green space for picnics and also biking and jogging paths for public. 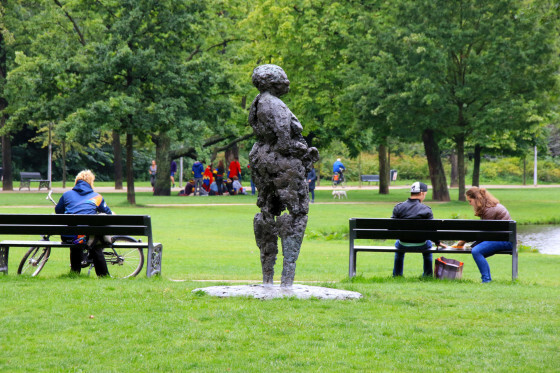 In addition, Vondelpark is also famous for the richness of art history as several statues are displayed throughout the park. One of the most famous statues is a sculpture by Pablo Picasso called The Fish, which was first displayed in 1965. Two monumental trees are also located in the park. 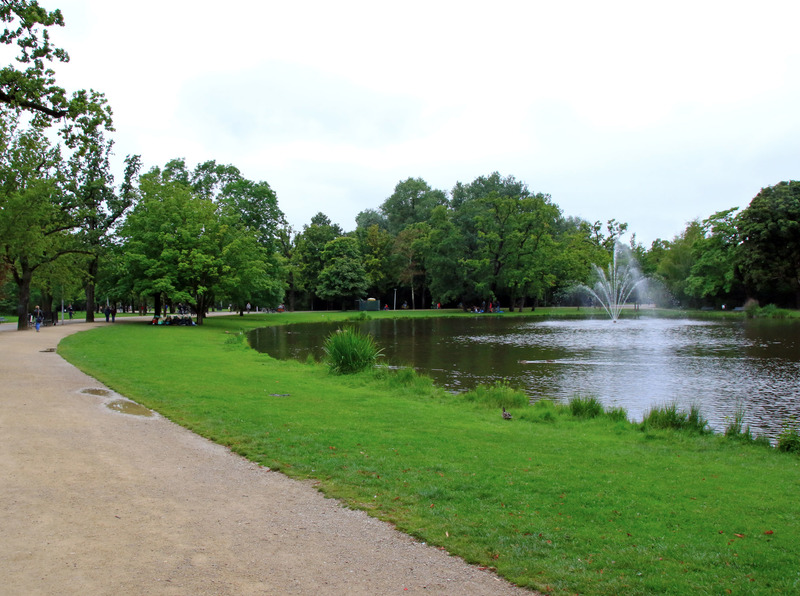 With all kinds of entertainment that visitors can enjoy, Vondelpark is very popular during the summer months. In the months of June to August, the Open Air Theatre is playing numerous free concerts for the visitors, from classical to pop music, dance performances, and musical theatre performance. The Vondelpark is one of Amsterdam's most popular attractions as both tourists and locals enjoy the relaxing atmosphere that this park has to offer. The paths throughout the park are commonly used by cyclists getting from one section of the city to the other. The paths that cut through the center of the park are more relaxed and pass the scenic ponds and grassy fields. Vondelpark is easily accessible from anywhere in central Amsterdam as it is close to major tram lines near Leidseplein and multiple routes for cars and bikes. Walking from Centraal Station takes about 45-minutes and biking can be done in about 15-minutes. Plan to visit Vondelpark as you explore the nearby neighbourhoods and enjoy the people and scenery right in the heart of Amsterdam. For a scenic bike route in Amsterdam that passes through the Vondelpark along with several other parks, see the Amsterdam Parks Route.